in the East Devon area. Please see below just some of the businesses we have worked with. 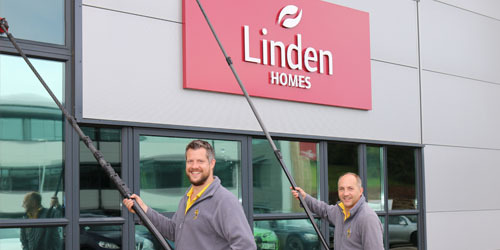 Our team were called to Linden Homes, who are based in Exeter, to carry out our professional window cleaning services for them. Basepoint Centre in Exeter got in contact with our team about having the whole of the buildings window cleaned. If you would like to know more information about our window cleaning services, please get in touch today.